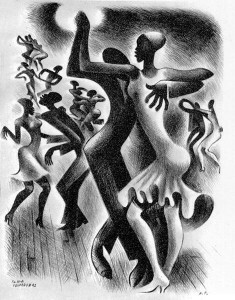 The Ithaca Swing Dance Network (ISDN) list was created to disseminate and distribute information about swing dancing to members of the greater Ithaca and Cornell communities. The list is open to anyone wishing to receive or provide information about swing dance opportunities in Ithaca and the Northeast. Messages sent to this list are not edited, but must be swing dance related. Also, we ask you to keep messages short and to the point, and that you try to post no more than once a week. Please note this is an information list, NOT a discussion list. By subscribing to ISDN-L, you also agree to receive e-mail messages from the listserv administrators. To notify people about dance related activities mainly in the Ithaca, NY area and in other areas as appropriate. The listserv is not to be used by anyone to notify people about non-dance related activities, especially things of a political nature or of a commercial nature that is essentially non-dance related. You are completely responsible for the entire content of any email you send, including anything you forward, so please note the following carefully. 6. The availability of swing dance music, dance apparel, etc. 8. Social events publicly open to the dance community, ie: parties which feature bands and dancing, or farewell/birthday parties for members of the ISDN community. 1. Attacks or insults, even veiled, to any specific person, group, or the Ithaca Swing Dance Network. This will result in immediate removal from the ISDN list. Subscribers who forward such content are also in danger of removal. 2. Your garage sale – even if some of the items up for sale are dance clothes. 3. Selling your car, bicycle, etc. 4. Renting or selling your house – even if it has a dance studio. 5. Political, environmental, statements etc. – even calling for swing dancing to save the redwoods. Although it could be argued that this is swing dance related; if you insert a political message *not* of your personal political persuasion, it becomes clear why messages of this nature are inappropriate and unwelcome. If it’s a real dance event, you may post it *without* the political statement. 8. Chain letters or pyramid “get rich” notices. People using the ISDN LISTSERV should consider the purpose of the list and exercise a measure of self-governance in terms of what is – as well as what is not – appropriate. If you are in doubt regarding the suitability of your proposed posting, please ask the listserv administrator, *before* you post. or in person to the ISDN Board.